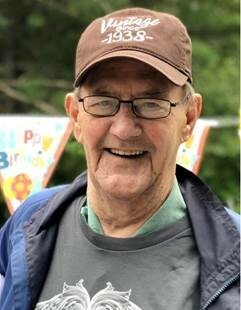 Hancock: Albert Witting, 80, a former veteran and Hancock resident, passed away February 6, 2019, after a short but brave battle with inoperable esophageal cancer. Albert (“Al”) was born Aug 2, 1938 (as an identical twin) in Hancock, and was one of seven siblings of Mary and John Witting Sr. He lived an exciting life, entering the US Navy out of high school where he was on tour throughout the Mediterranean and Atlantic. Upon honorable discharge from the Navy, he moved to San Francisco where he ultimately helped start, along with his partners, the successful San Francisco/Silicon Valley electronic manufacture rep company, Westech Associates. In Lake Tahoe, where he had a second home, he also owned a furniture store and was the Postmaster. Al was an avid (scratch) golfer, often found playing a round with his friend Fuzzy Zoeller. He continued to live in the Bay area until his retirement, upon which time he moved back to the Copper Country. Although Al never married or had children, he assembled a close group of friends across the country with whom he maintained relationships up until his death. His friends and family will remember him for his intuitiveness, good nature and sense of humor. He was an awesome brother, kind and always willing to help. To his family, he will always be “uno numero, number one”. We love and will miss you, brother and uncle Al. May you rest in peace. Al is preceded in his death by his parents Mary and John Witting (Hancock), his sister Carol (Witting) Coppo (Green Bay, WI), and nephew Chad Witting (Orlando, FL). He is survived by his identical twin brother Jack “Jocko” and wife Gert Witting (Hancock and Vero Beach, FL), a second set of identical twin brothers James and wife Sandy Witting (Marquette, MI and Orlando, FL) and George and wife Lois Witting (Two Rivers, WI), sister Margaret (Witting) and husband John Ylitalo (Hancock), and youngest brother Bruce and wife Debbie Witting (Hancock), as well as many nieces and nephews. At his request, no public memorial service will be held, however a private family burial will take place at the Lakeside cemetery in Hancock in the summer. The O’Neill-Dennis Funeral Home of Hancock is assisting with the arrangements.